Dolphin 'asks divers for help' Jump to media player Underwater camera operator Martina Wing talks about the moment a dolphin which had been caught in fishing line was freed by a diver. 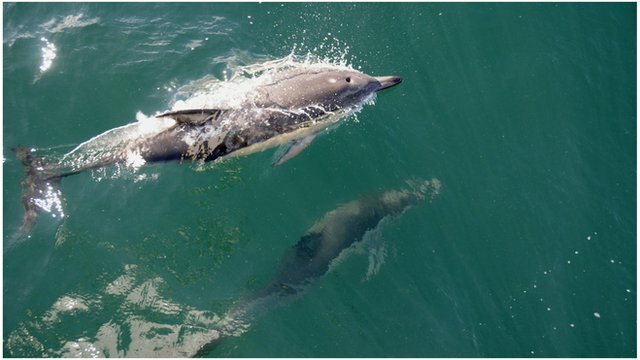 Dolphin 'superpod' caught on film Jump to media player Footage of a "superpod" of hundreds of dolphins is captured by marine conservationists in the Irish Sea. 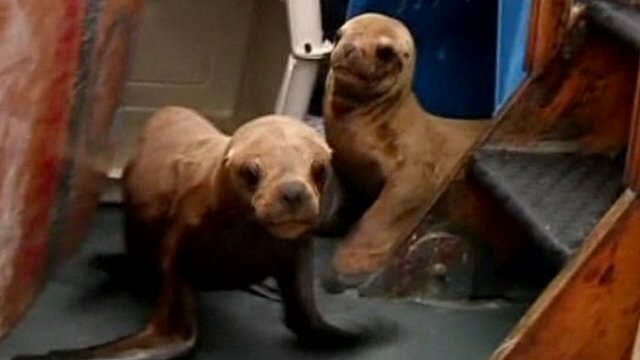 Sea lions released back to wild Jump to media player A dolphin and a pair of sea lions are roaming free off the coast of Peru, thanks to conservationists. 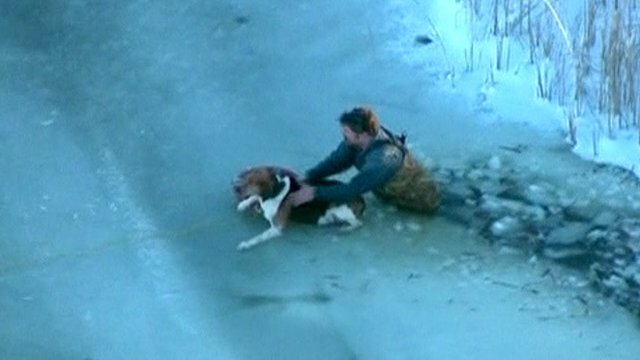 Rescue workers save dog stuck on ice Jump to media player Rescue workers managed to save a dog which got trapped out on the ice in Michigan on Thursday. An underwater camera has captured the moment a dolphin that became entangled in a fishing line was freed by a diver in Hawaii. Martina Wing, who filmed the footage, said that the dolphin seemed to "communicate" with the diver to ask for help. Speaking to BBC Breakfast's Jon Kay and Louise Minchin from Hawaii, she described the experience as "mind-blowing".